When every I hear or see Raspberry Sorbet I think of the Prince song ‘Raspberry Beret’. I guess I’ll be thinking about the song even more now since I have an ice cream maker. Yay!! I had actually been planning this purchase for a while so when we stopping into Trader Joe’s this week I knew I just had to grab some fruit for some sorbet. The raspberries looked the best, plus we has an amazing red raspberry gelato from Dolcezza when we were in DC. Perfect way to escape a summer thunderstorm while in Georgetown. Back to the sorbet… I love sorbet because it is so simple. Just fruit and simply syrup. 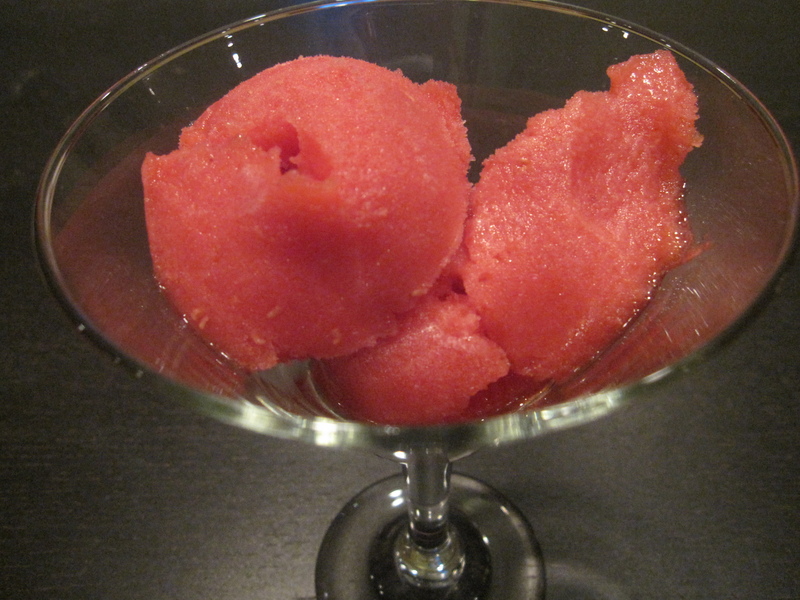 The fresher the fruit the better the sorbet tastes so sorbet is a summer time treat for me. While you can use frozen fruit I think the color and flavor is not exactly the same, compared to fresh fruit. While the fruit is ready for picking, pick it and use it. 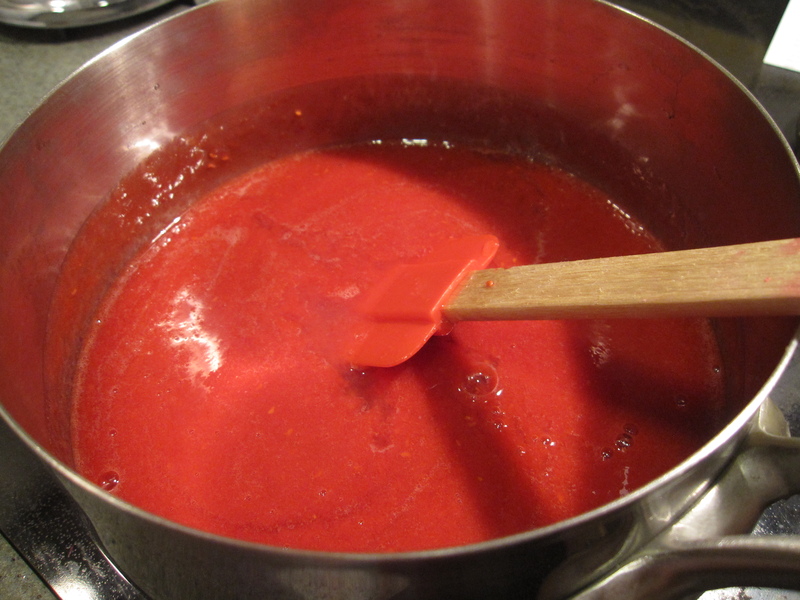 1) In a medium sauce pot, combine the water and sugar together. Heat over medium heat until the sugar is fully uncorporated. Let simple syrump COOL. 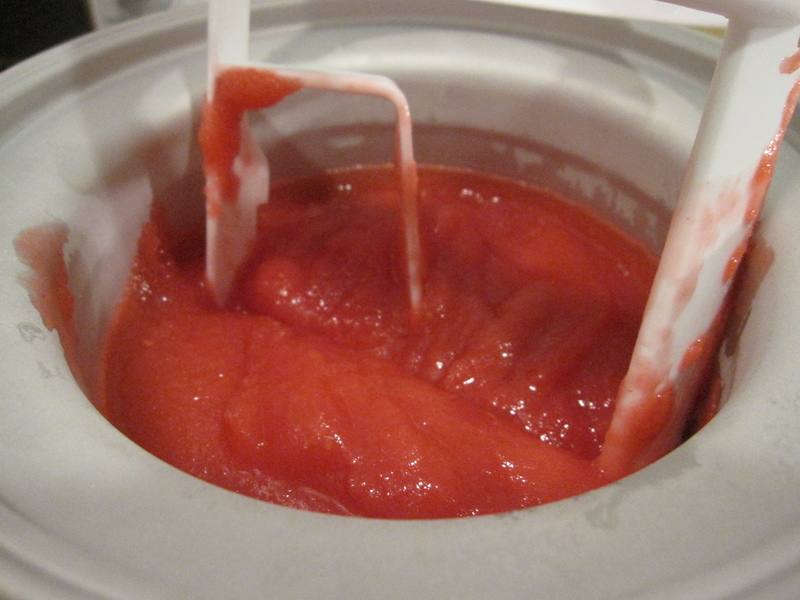 2) Puree fruit in a blender or food processer. 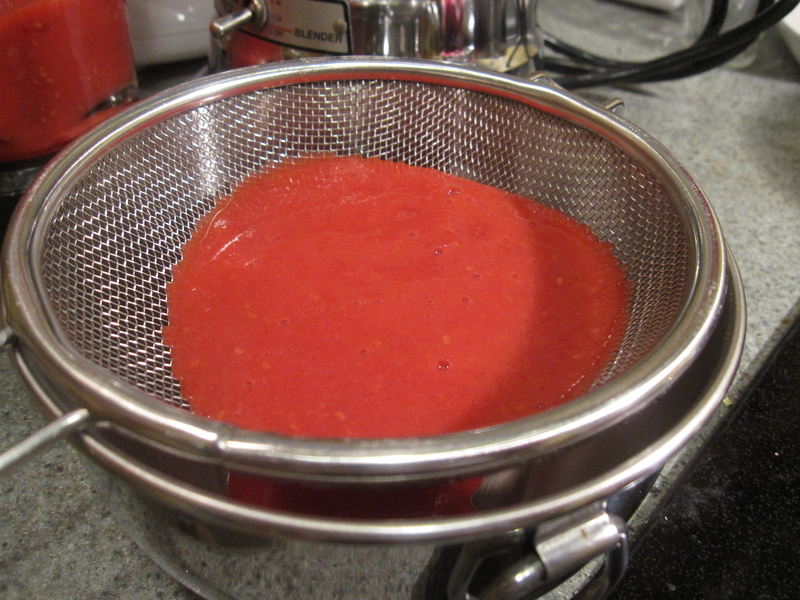 Strain fruit to remove seeds from puree. 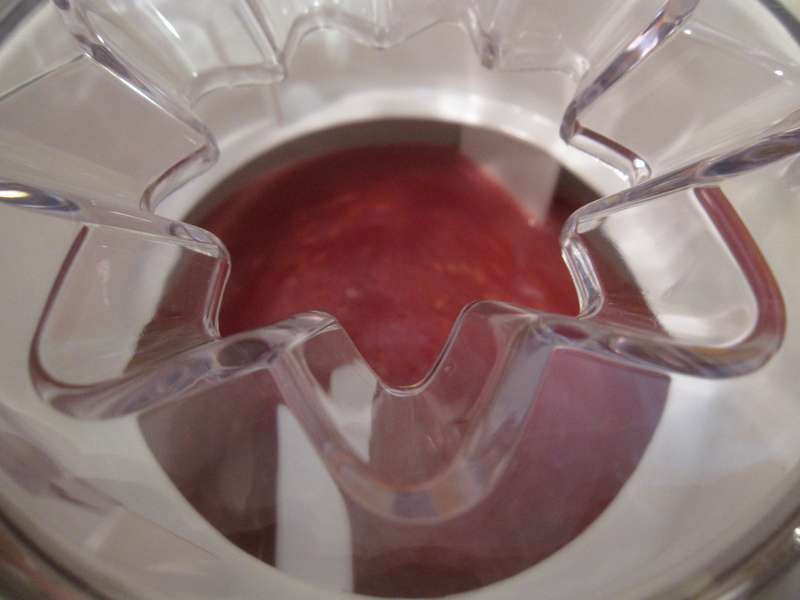 2) Once the simple syrup as cooled add the pureed fruit and the lemon juice. Combine completely. 3) Add mixture to your ice cream maker and follow manufacturer’s instructions. 8 half cup servings or 4 one cup servings. It’s hot in Boston!!!! A great and simple recipe, perfect for the 4th!